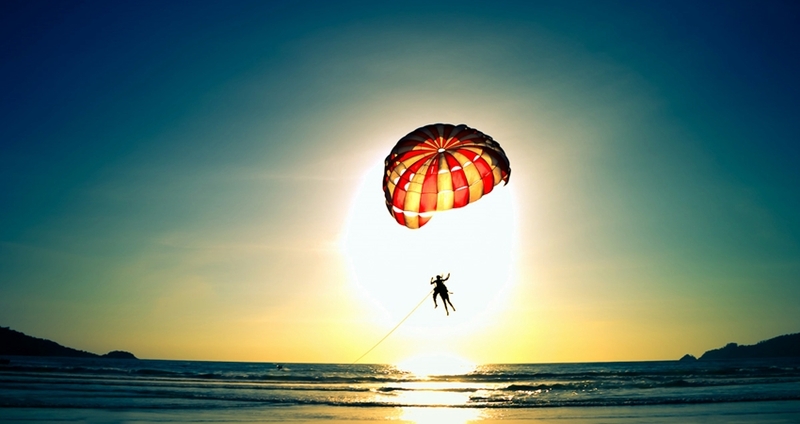 Marmaris Parasailing is an exciting water sport, a must inclusion in your holiday activity list this summer in Marmaris. 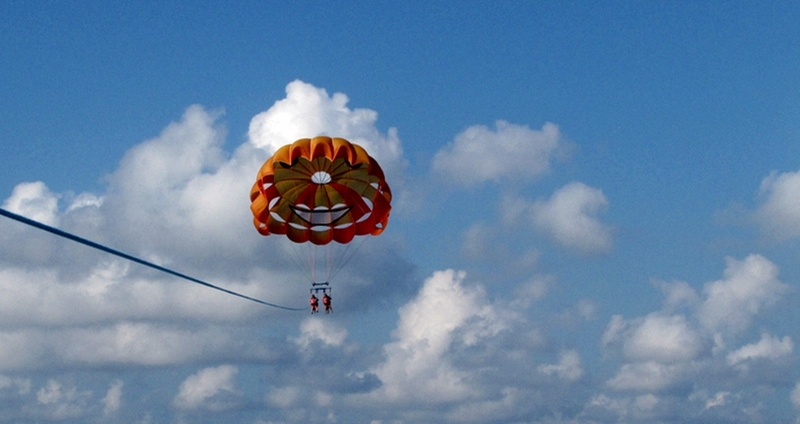 At Marmaris Water Sports Center, we offer parasailing at its best. 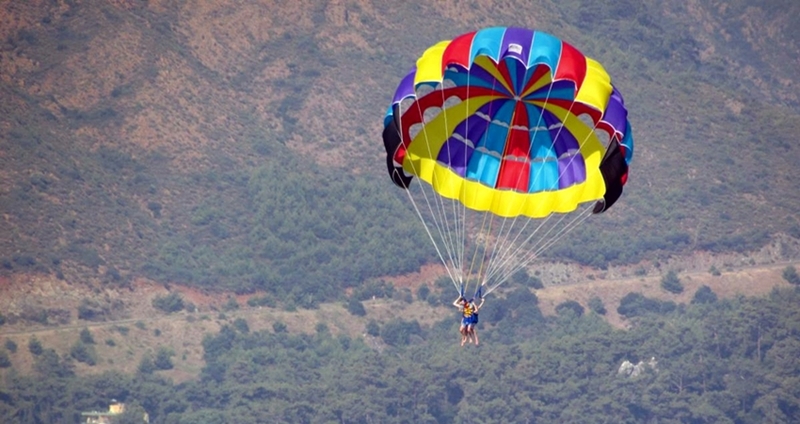 You can check out the amazing crystal clear waters, the busy beachfronts and the roofs of the best Marmaris hotels and clubs as you take your fly way up high! Sit back in comfort and take a look at the stunning sites of the Mediterranean, Marmaris Bay and the town in one go! 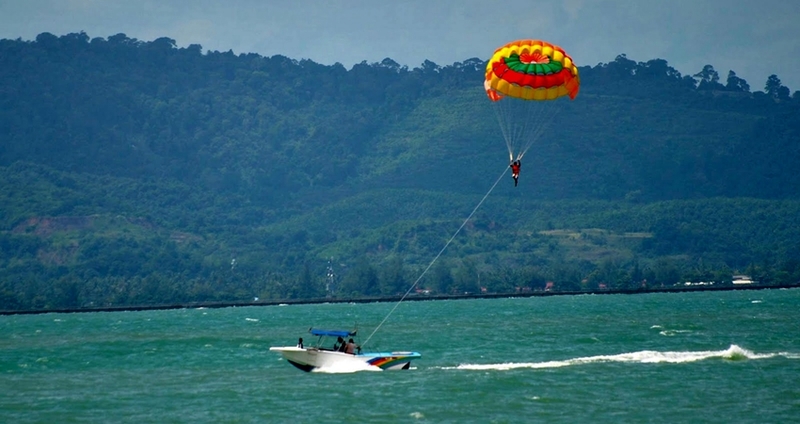 The unique mechanism of parasailing lifts you from a platform on the back of the boat and provides you a comfortable and secure ride way up in the sky. 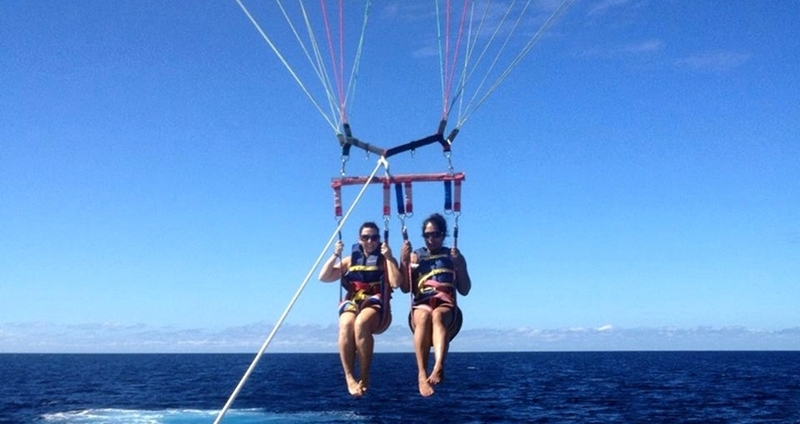 You will love our sensational two-seater sky riding experience up and away into the clear blue Mediterranean sky! 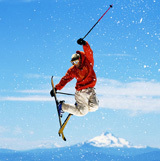 All of the Marmaris Water Sports Activities come along with free and comfortable hotel transfer services. 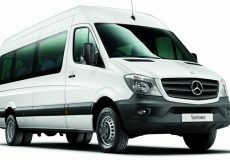 We are ready with our well-kept vehicle to pick you right at the main gate of the hotel you stay in. You are taken across the water in our shuttle boat until you reach the flight area. From here you are transferred to the comfortable sky-rider seat. 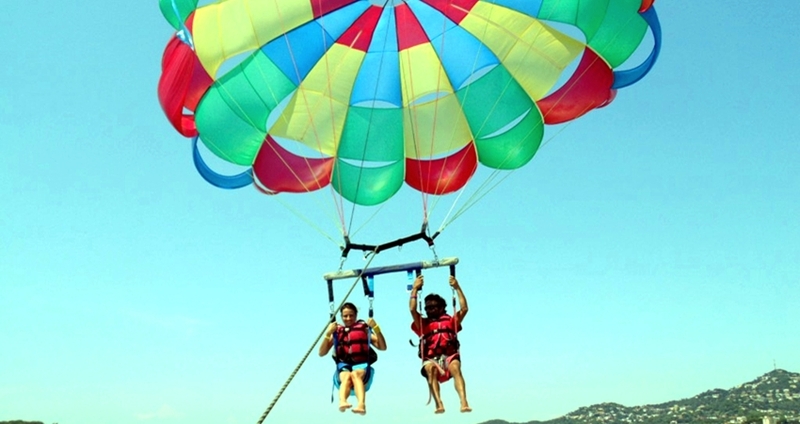 The fun begins as you rise up above the water slowly and smoothly and witness the amazing views of Marmaris. 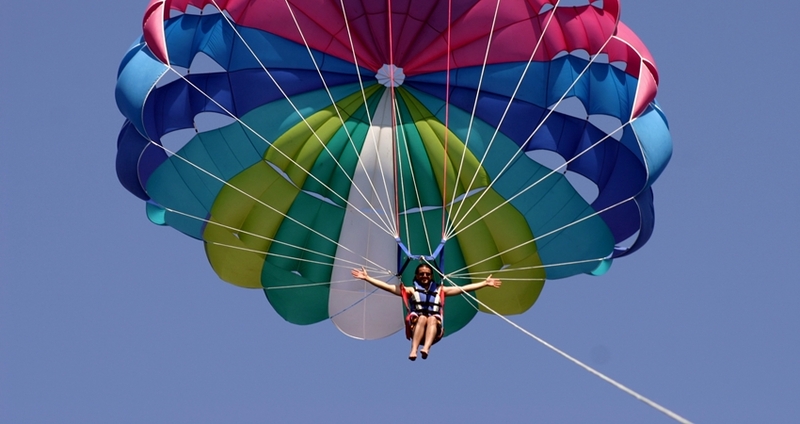 Marmaris Parasailing can be real fun and a thrilling activity, but we guarantee you a safe and relaxing ride by all means. Our professional instructors provide you necessary information about the entire event; give you relevant instructions, and guidelines to use the safety gears. 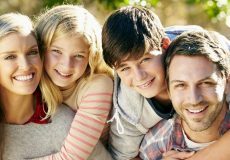 We request you not to miss any of the instructions and follow the guidelines as they are framed to ensure your maximum enjoyment under perfect safety. 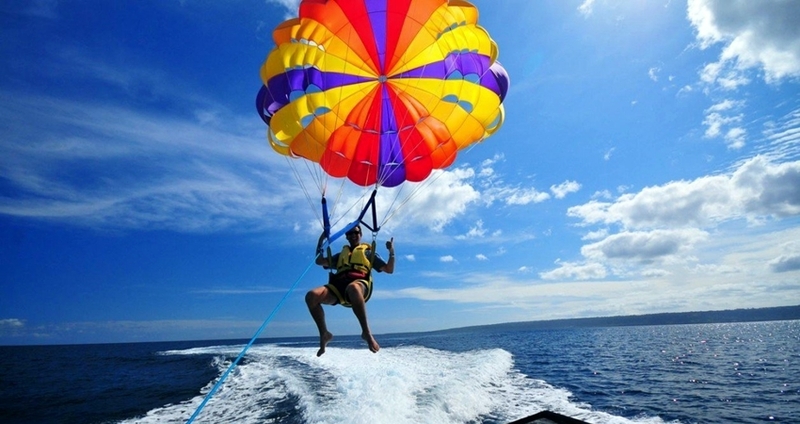 Marmaris Parasailing is one of the most exciting and thrilling water sport activities on cards at the water sports center. We have a list of suggestive itineraries but you are free to frame your own itinerary anyway. 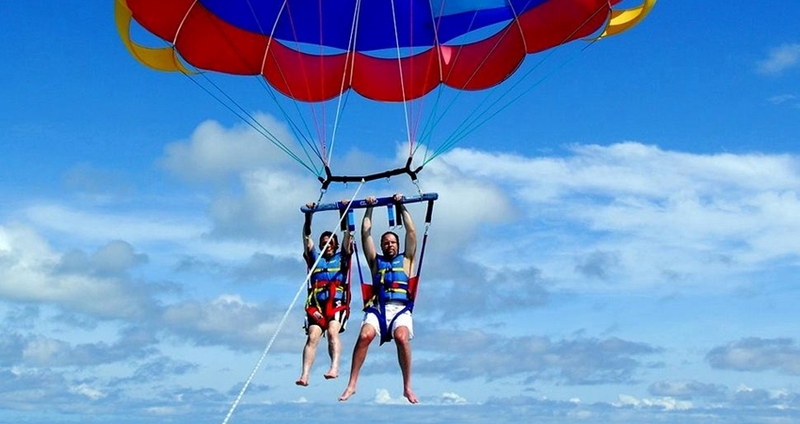 As you play to your full in our parasailing activity, our professional photographers take your photos and videos. After the activity you can check with these clips and select the best ones to take home in DVDs as tour souvenirs. We suggest you to arrive here in the morning and take part in as many as exciting water sport activities available at the center. 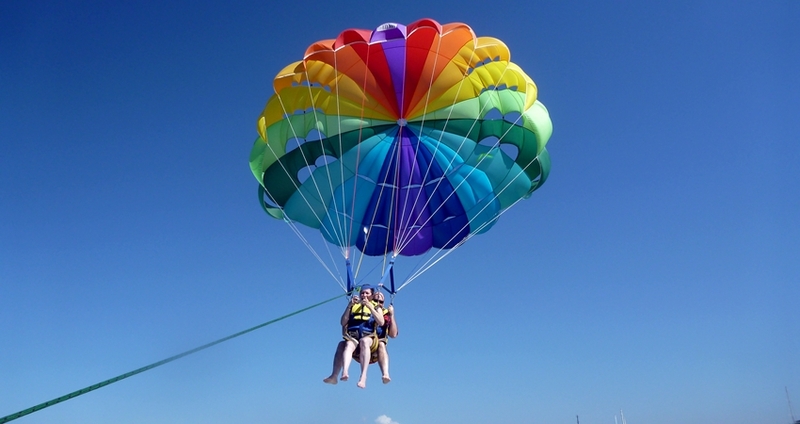 Your Marmaris travel will be great fun, make it more exciting with our Parasailing Tour!